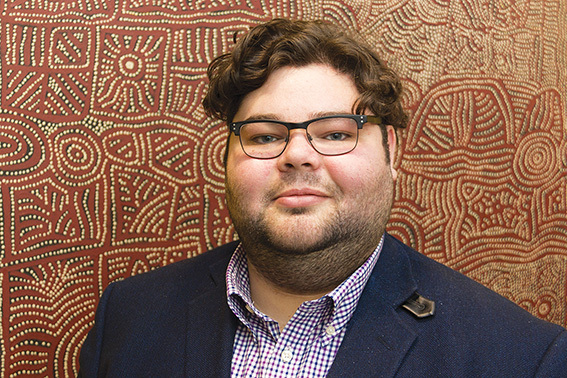 EDITH Cowan University’s JESSE J FLEAY researches ways of integrating Noongar knowledge into school curricula to keep Aboriginal youth engaged. He works at the Kurongkurl Katitjin Centre for Indigenous Australian Education and Research. In this week’s SPEAKER’S CORNER, he argues that One Nation will actually divide Australia. A VOTE for One Nation not only endangers Western Australia’s fragile economic situation, it risks the further alienation of marginalised people from the system and divides people at a time when they should be unified. Pauline Hanson is a divisive figure, and her record in indigenous rights and a multicultural Australia is tainted. Ms Hanson is a serial campaigner. Her ultimate goal is to lead voters into an abyss. Anyone and anyone can be a candidate in her crusade. It’s about time someone spoke out about it. Both the Labor and Coalition governments’ generational work in reconciliation could all be undone because of One Nation. At a time when significant change is mounting across the political divide, Ms Hanson and her team are a risk to the nation truly being ‘as one’. I will be attending the Referendum Council’s regional dialogue on the constitutional recognition of aboriginal and Torres Strait islander people this March, hosted by AIATSIS and the South West Aboriginal Land and Sea Council. I want to see bipartisan support for these changes. Not another big mess for future generations to clean up. Regardless of what you believe, surely a fair go has a place in your heart. Having studied history and political theory for a decade, I’m cautious of history repeating itself. Look at the way the Jews were scapegoated in colonial Spain, or Germany during the war. Look at the way Aristotle divided the world into Greeks and Barbarians. The rhetoric is old, the story has been told over, and over again, by an idiot who signifies nothing. Education will be key in overcoming this sort of politics in the future. Ms Hanson and her team might well be cast by some as idiotic, but we have learned—in recent history, with the Trump election—that idiots can be elected. Regarding the Liberal Party’s preference deal with One Nation, it’s an insult to some of the better values of the Liberal Party and its history. I would be interested to hear what great men like Fred Chaney, would have to say about Barnett’s betrayal of his party’s core beliefs. People like Robert Menzies would be turning in their graves. I’ll continue to research ways of integrating Noongar knowledge into school curriculums, to keep aboriginal youth engaged at school, and in touch with their culture. Everyone has a culture—it’s what makes Australia interesting, and a worthwhile place for people to call home.